Glaswald was founded in 2004 in Basel by jazz pianist Martin Pohl and experimental composer Wolfgang Kirchheim. A studio project at first, Glaswald recorded numerous albums featuring free-form psychedelic ambient improvisations. 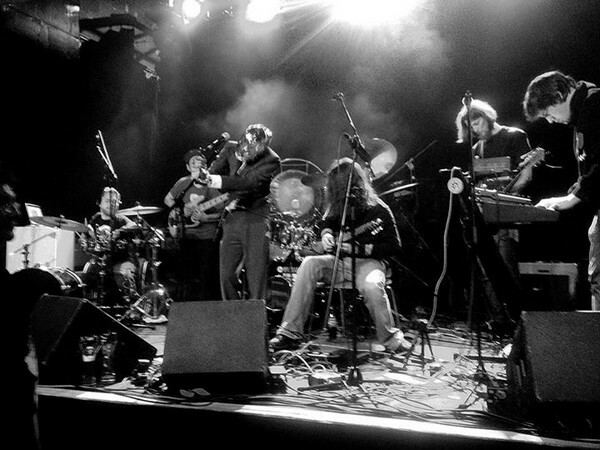 In 2009, Glaswald entered the stages playing live concerts, without altering their focus on improvisation, and drawing on an increasing pool of guest musicians. Inspired by German KrautRock legends like Tangerine Dream or Can, Glaswald keep that experimental spirit alive and rocking. In addition to Kirchheim's experimental guitar scapes and Pohl's raw virtuosity on the synthesizer, energetic drum work and crisp basslines complete the live sound of the band. Vocal and performance art by Indonesian enfant terrible Jop Arsianto have been a recurring element in the band's concerts since 2011. Every concert is a unique experience for both the musicians and the audience, an adventurous expedition into the depths of the Glass jungle. Since 2009 Glaswald perform as musical accompanists at the annual Stummfilm-Symposium in Heidelberg. In 2011, KrautRock legend Mani Neumeier joined forces with Glaswald, playing a live concert in the fondly remembered Kosmodrom club, Heidelberg. In 2012, the band played live at the dOCUMENTA 13 in Kassel and gigged with Jop Arsianto for the first time, delivering a well remembered performance at Villa Nachttanz, Heidelberg. In 2013, Glaswald performed as opener for Guru Guru at Karlstorbahnhof, Heidelberg.